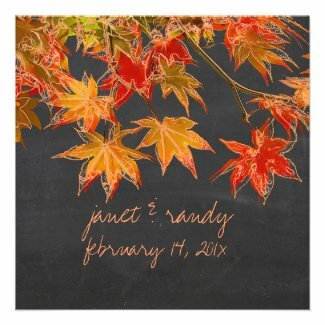 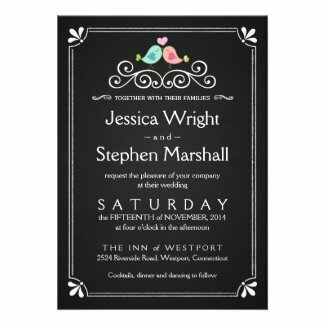 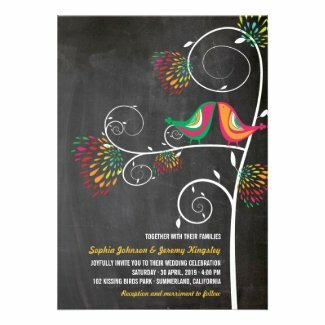 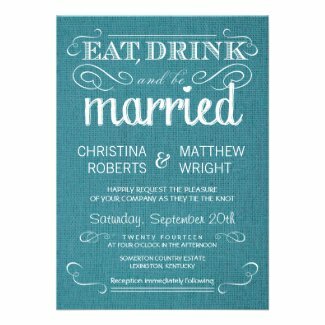 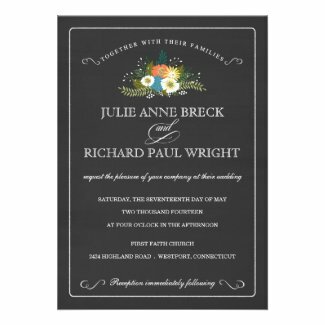 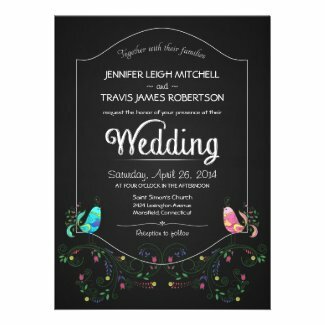 Adorable and casual, chalkboard wedding invitations set the theme for your fun and casual wedding. 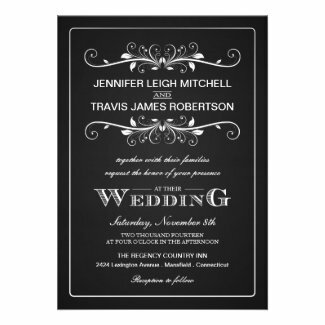 Featuring black and white, two tone, and multi-color invitations. 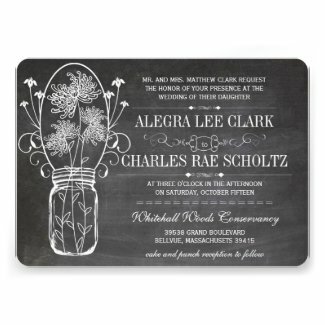 Many designs have matching RSVP cards and Save the Date cards. 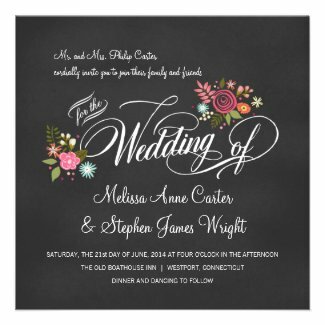 All designs have many different paper styles and weights. 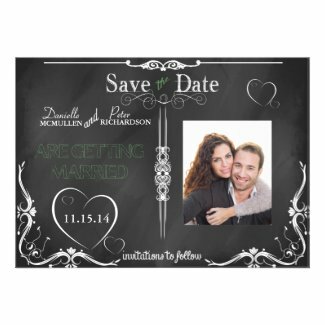 Choose from square metallic, tag cream color card stock, scroll shaped linen, and many other combinations. 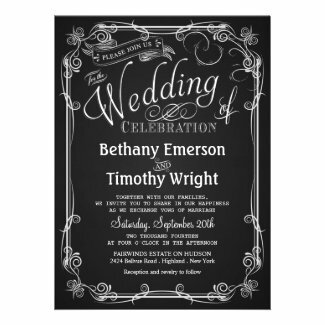 Your perfect invitation is here waiting to be discovered!